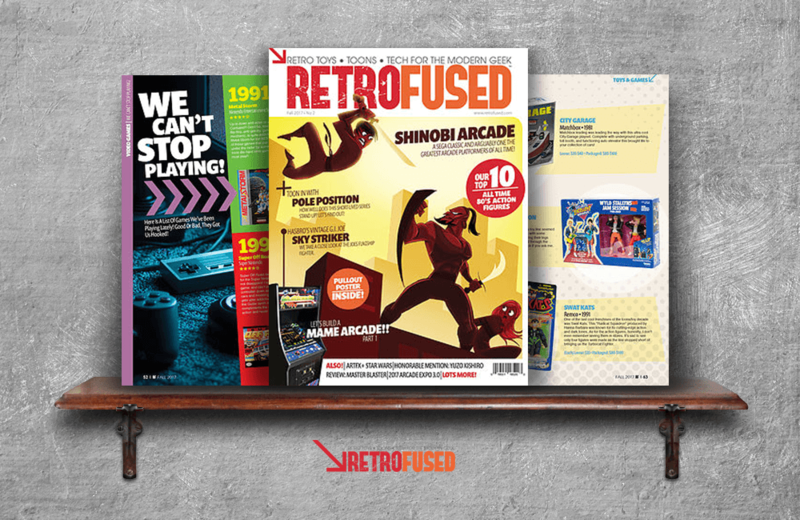 RetroFused is a print and online publication for the “modern geek” who likes to indulge in ’80s and ’90s toys, cartoons, and technology. Created by Nick Johnson, the magazine is a colourful offering for nostalgia connoisseurs who long to revisit the pop-culture objects and stories that made the ’80s and ’90s so memorable. Artist profiles, clever editorials, and product features educate readers and deepen appreciation for elements often taken for granted. Johnson is obviously a fan of his subject matter, infusing the magazine with a reverence for its subjects. While the publication doesn’t take itself too seriously, it is serious about its mission. The writing, photography, and graphic design are top-notch and sleek, something not seen in many other publications of its ilk. “Your childhood is waiting,” entices RetroFused. Put aside your adult responsibilities for an hour and revisit the things that made the ’80s and ’90s impossible to forget. The Purple Pawn website covers the world of tabletop games though articles written for new and seasoned gamers alike.